If the person you are researching died during the WWI, the chances are that their service records were lost during the bombing and subsequent fire at the War Office in 1940. About 60% of the other records survived though, and these were mainly pension claims filed by soldiers who were discharged with injuries. They often have other records attached and can provide fascinating reading. The more information you have, the greater your chances of finding out about your chosen subject. The huge numbers of men killed in WWI means that if you have extra information, such as their service number which is unique, this can help you pinpoint your person. Copies of this tremendous source, known as The Black Book, can be found in Warwick Library (available on loan) and the County Record Office in Priory Park, Warwick. 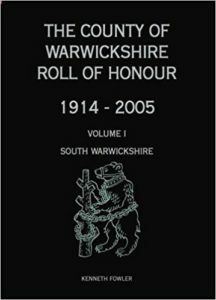 Several other organisations have a copy of this book including The Royal Regiment of Fusiliers, The Warwickshire Yeomanry Museum, and The Royal British Legion Warwick Branch. The great thing about this book is that, in nearly all cases, it provides the Service Number, Regiment, age, parents/wife’s names and addresses so you have all the base information to search in many of the sources mentioned below. For instance, if you know the date of death, you can calculate the year of birth and can then find multiple original sources via Ancestry.co.uk. The CRO in Warwick holds many collections which have proved extremely useful. These include Fowler’s book, described above, and access to Ancestry.co.uk, The British Newspaper Archive and Find My Past – see below. 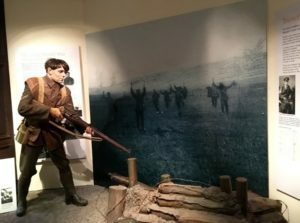 The volunteers at the museum in the Jury Street Court House are extremely knowledgeable regarding the campaigns that the Warwickshire Yeomanry were involved in during World War I. On the same page you will find a link to a ‘Museum Archive Form’ which you can complete if you require the volunteers’ help in researching a soldier who served in the Warwickshire Yeomanry before 1920. The Royal Warwickshire Regiment, with origins dating back to 1674, became the Royal Warwickshire Fusiliers, part of the Fusilier Brigade, in 1963. 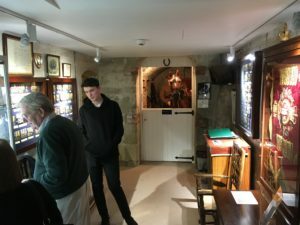 Their artefacts are displayed at the Fusilier Museum Warwick in St. John’s House. The team there are extremely friendly and knowledgeable and for a small fee can help research soldiers who served with the Royal Warwickshire Regiment. It is better to call ahead and make an appointment so that documents can be found ahead of your visit – 01926 491653. 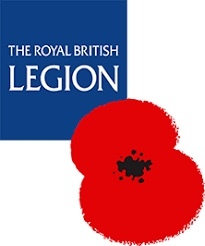 This is the website of the Warwick Branch of the Royal British Legion where you can find details of their monthly meetings and other events. 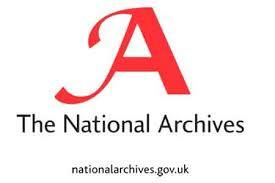 The national site https://www.britishlegion.org.uk has lots of information regarding past conflicts with a special section for the WWI Centenary. They are currently running a campaign, called ‘Everyone Remembered’: https://www.everyoneremembered.org where you can enter the details of a person involved in WWI so that they will be permanently remembered on the site. You can also say ‘Thank you’ to a service person via the site. You can either take out a personal subscription or visit the CRO and access Ancestry there. 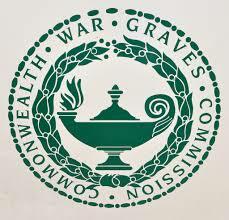 The Commonwealth War Graves Commission looks after Britain’s war graves, at home and abroad. The CWGC are currently running a First World War Legacy project where members of the public can upload a profile of a soldier who fought in WWI. 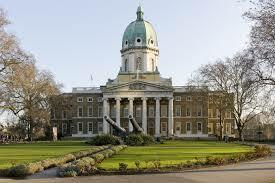 The Imperial War Museum’s archives are vast and too numerous to mention here. The paper research facility is being moved from London to Duxford, and opened on 9th April 2018, but it will still be possible to view documents digitally in London. This site is always worth a look as it holds many military records; it has a helpful guide for finding army and other forces records. This is a subscription site, and if your research is limited to just a few people, it’s possible to sign up for one month only. 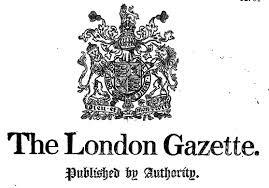 The Gazette is good for looking at people by name, particularly those who received commissions, or medals for gallantry, in the war. A note of caution, we found it difficult to find the records we wanted, despite knowing the name of our person and their entry date. Here is a list of some more websites you many find useful – this is by no means an exhaustive list. This is a subscription site, but you can sign up for a 14 day free trial. 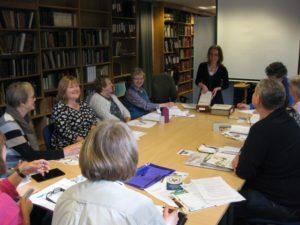 Warwickshire Libraries have a subscription to this site so you can use the site for free at any library (one hour at a time) or at the CRO (no time limit). This site also has access to ‘UK Soldiers Died in the Great War’. This website has many, copyrighted, photos which can be downloaded, or printed and sent to you in the post. Fees apply for both services – visit the website for details. A site where you can ask questions about the Great War and receive answers and information from other users. This is a site owned and run by The Church of Jesus Christ of Latter Day Saints. You have to sign up to this but it’s free and has many of the records (census, births, deaths etc.) that can be found on Ancestry. It sometimes directs you to other sites when you click to view the record – definitely worth a try. This one does what it says on the tin – enables you to search for free for births, marriages and deaths – again worth a try.